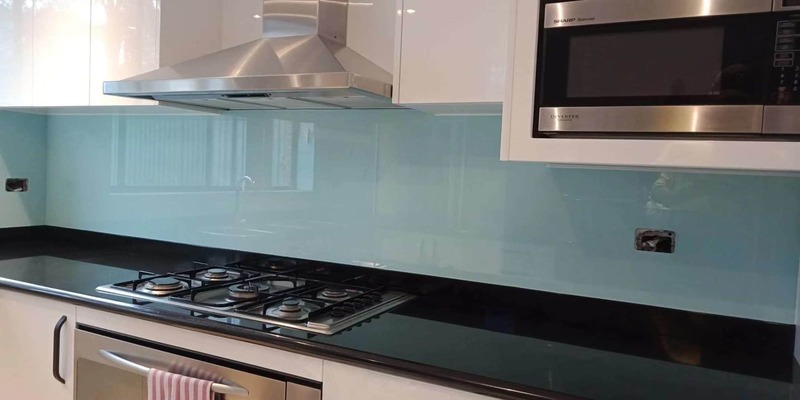 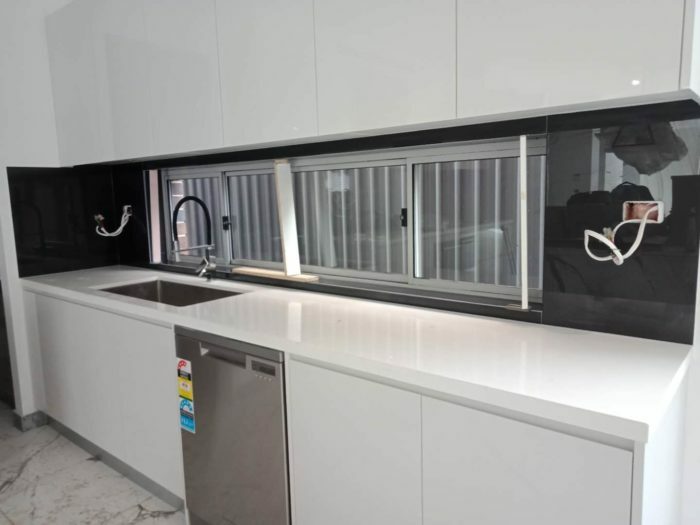 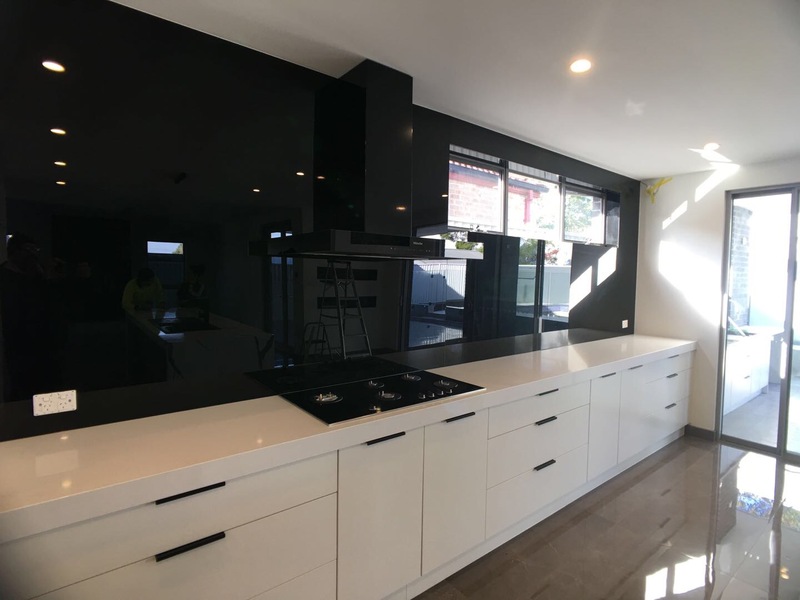 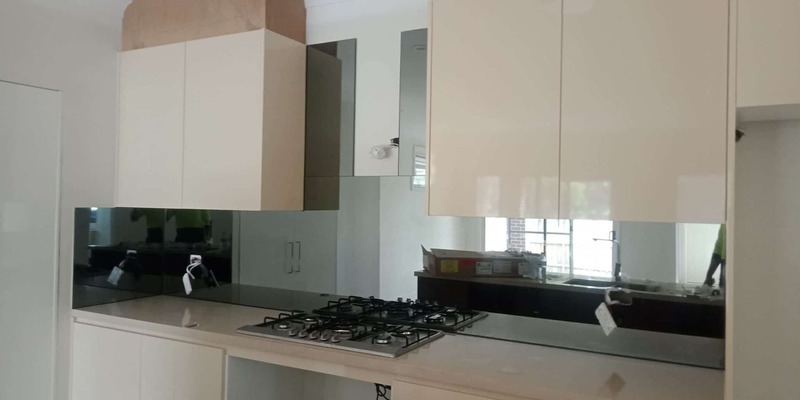 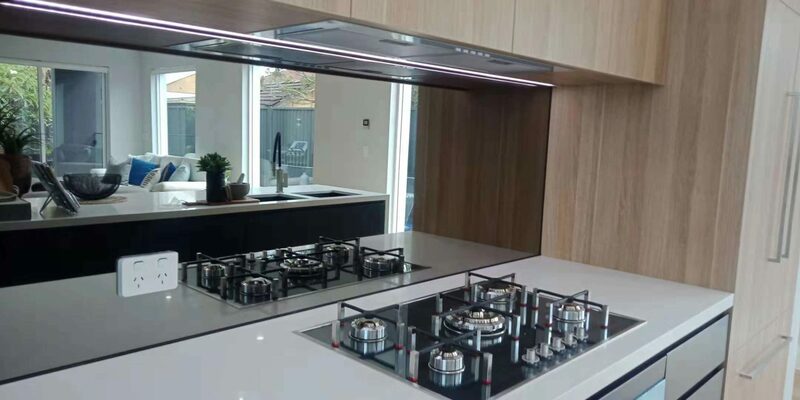 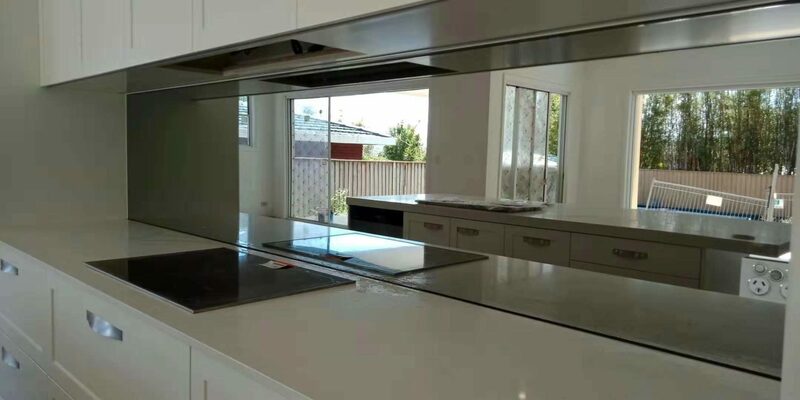 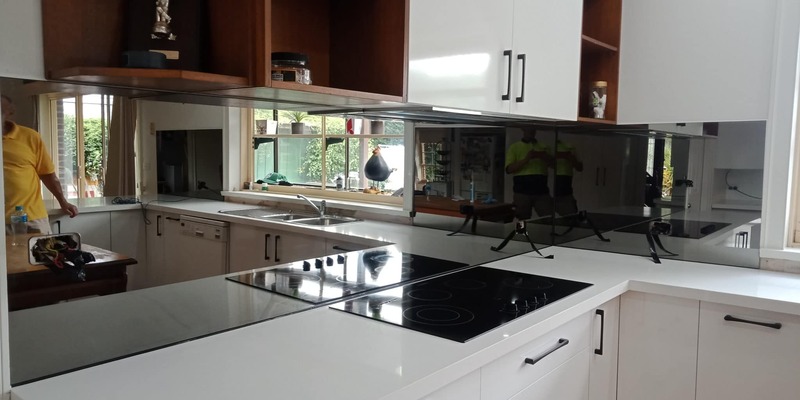 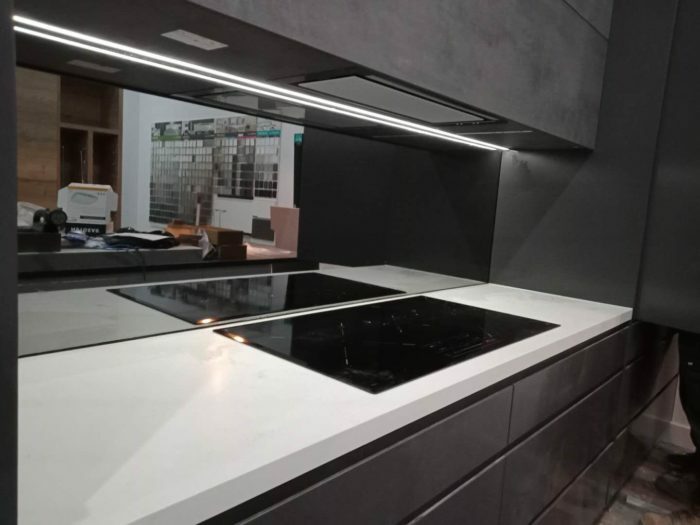 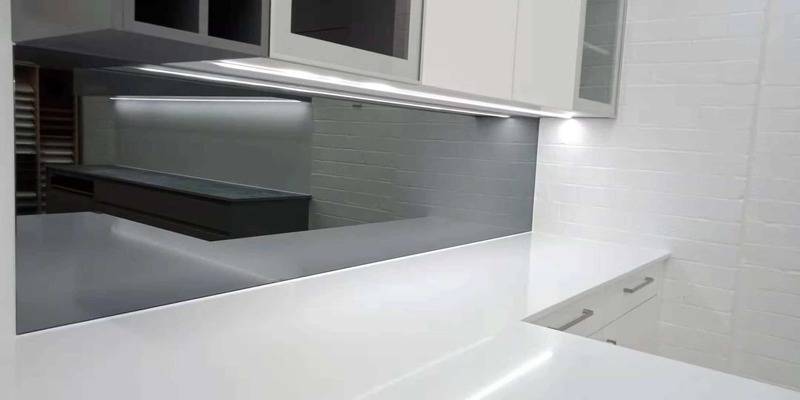 At Victoria Colour Glass, we offer Starphire Glass Splashbacks, Mirror Glass Splashbacks and SilkyMatt Matte Glass Splashbacks. We stay on top of the kitchen design industry. 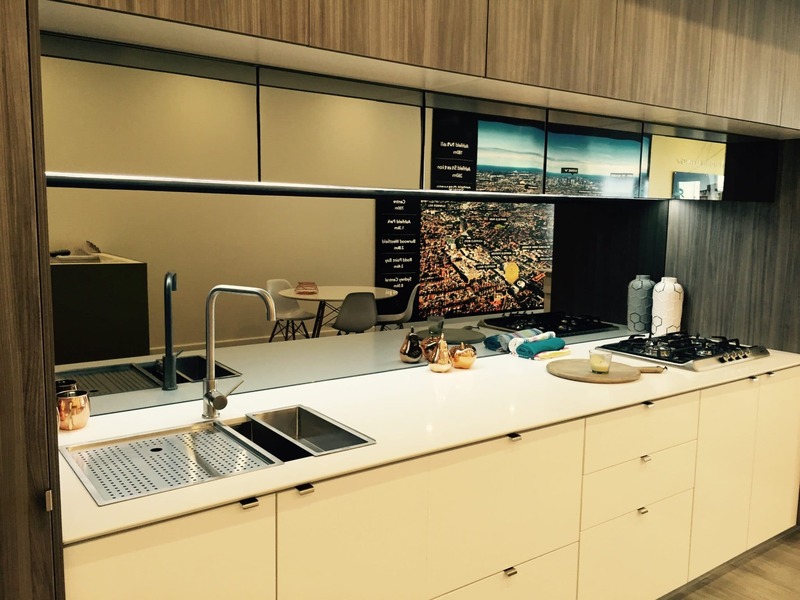 Innovation – it’s in our blood. Below are some major benefits of using our SilkyMatt Matte Glass/ Starphire Colour Glass/Mirror splashbacks for your kitchen. 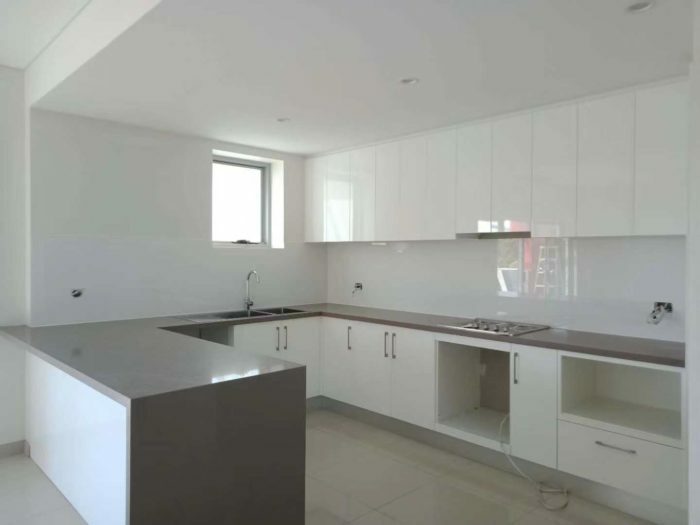 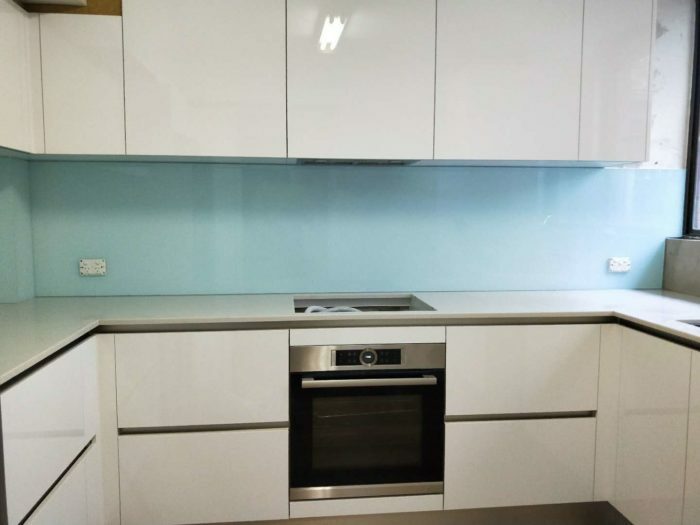 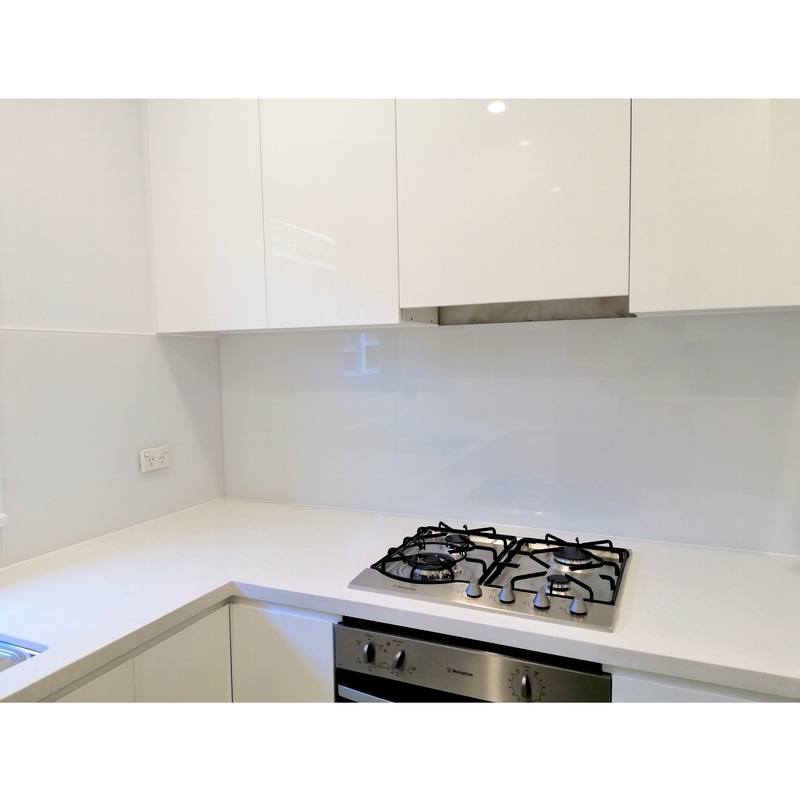 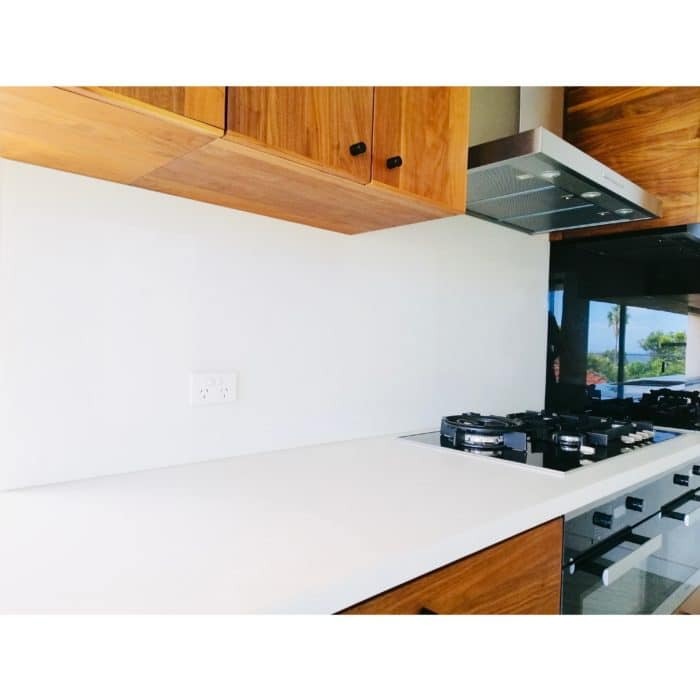 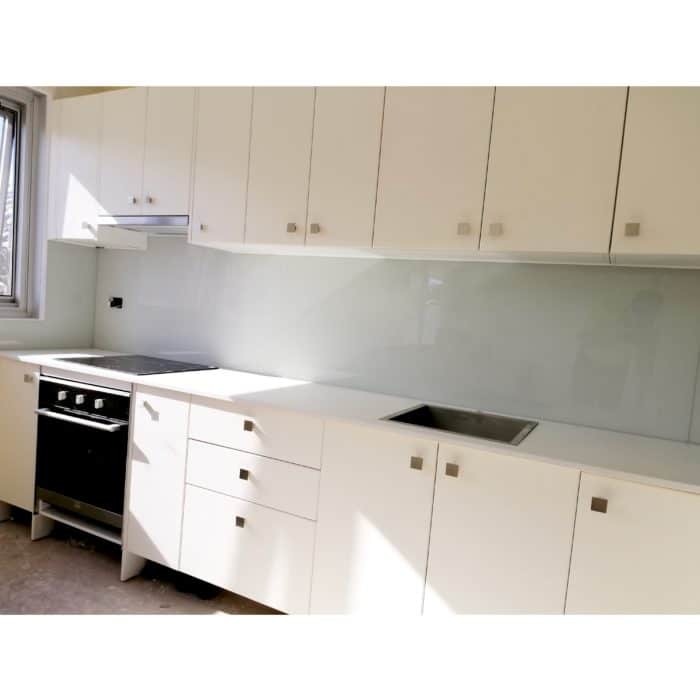 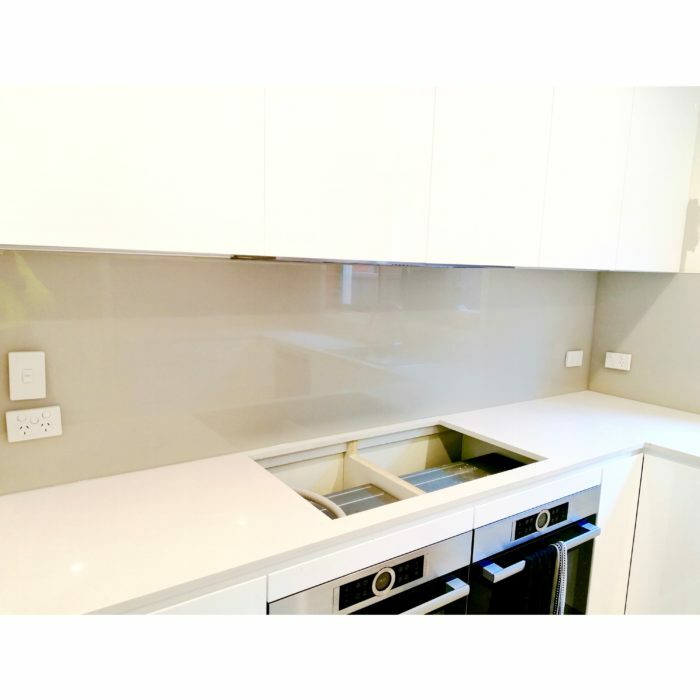 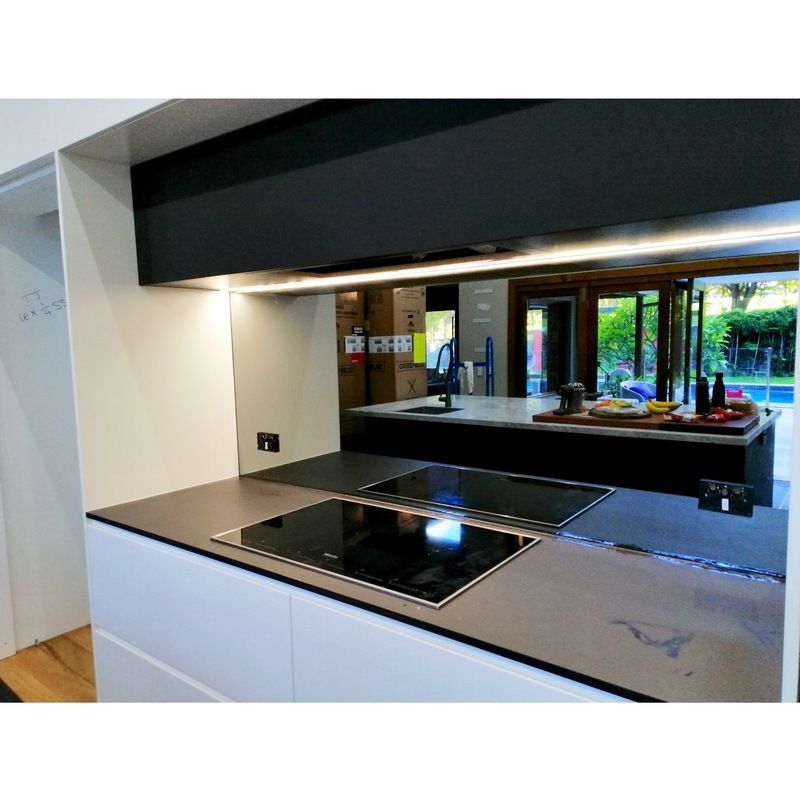 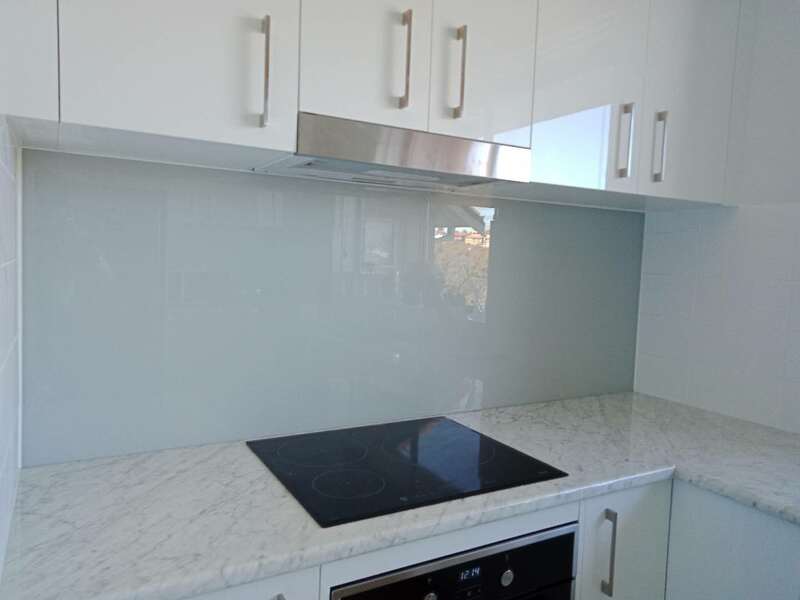 Easy to clean – Being very sleek and flat, glass splashbacks will be easy to clean. 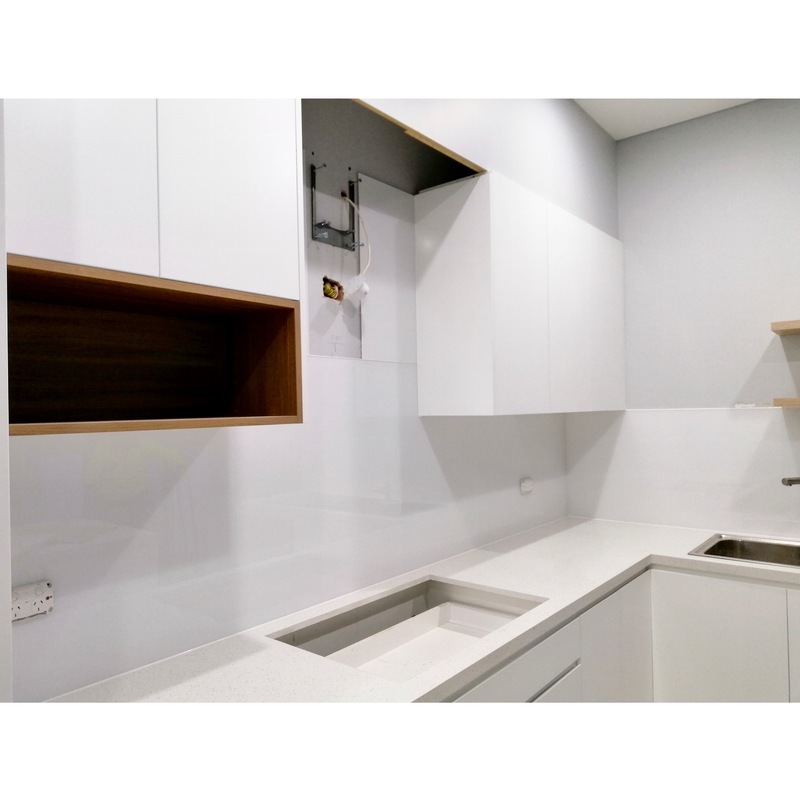 Commonly, we only need to wipe the stain or spill, and it will be clean soon. 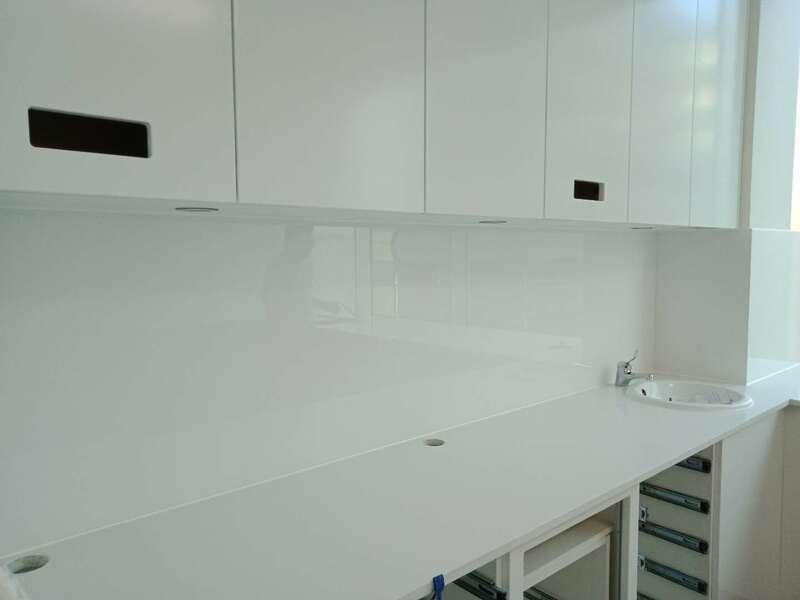 We do not need to spend more money on cleaning substance on normal cases. 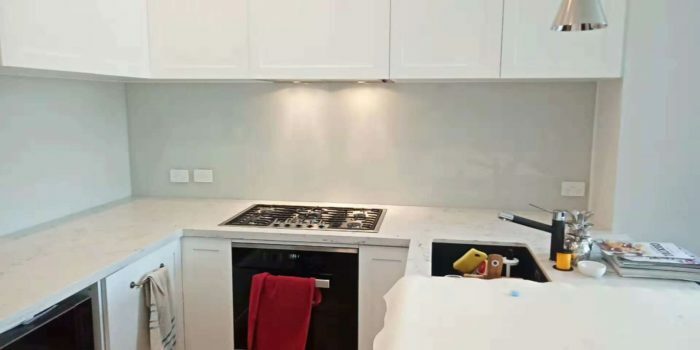 This is practical and amusing for people who love cooking. Heat resistance – If you cook for hours and your glass splashbacks are exposed to heat for the entire time, it will be just fine. It will not change the shape or colours. It enables you to worry-free cooking. In addition to it, it keeps you farther from repair and maintenance. 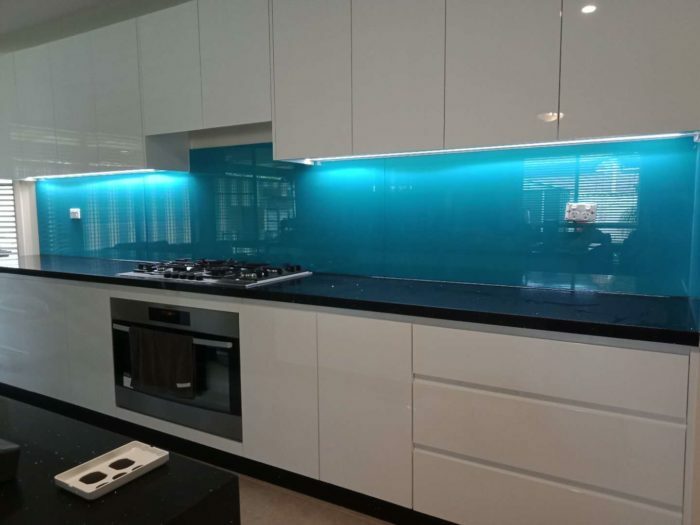 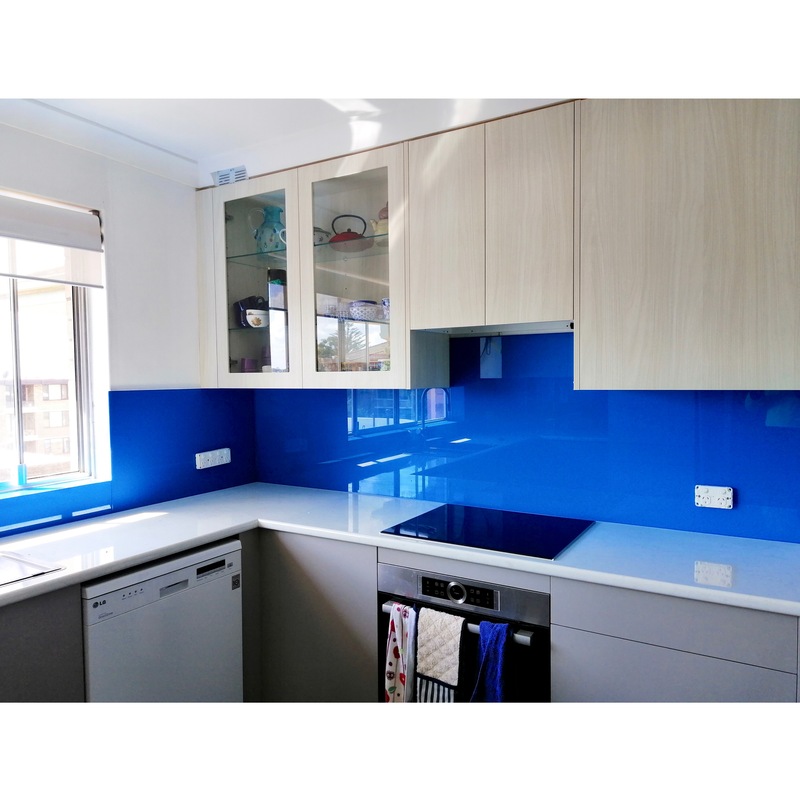 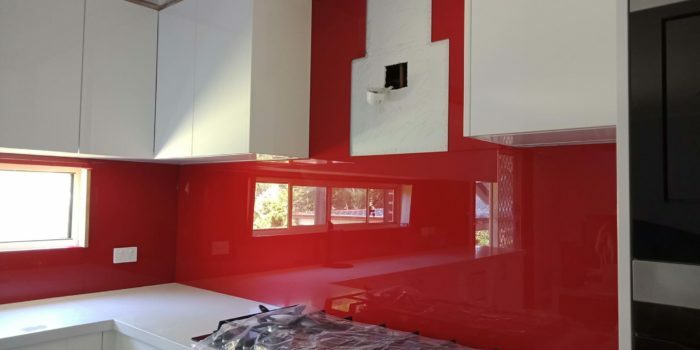 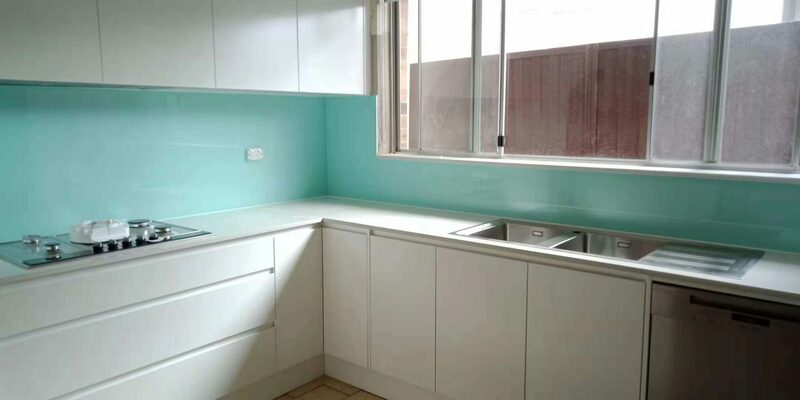 Colours choices – There are many choices for colours for glass splashbacks on market now. 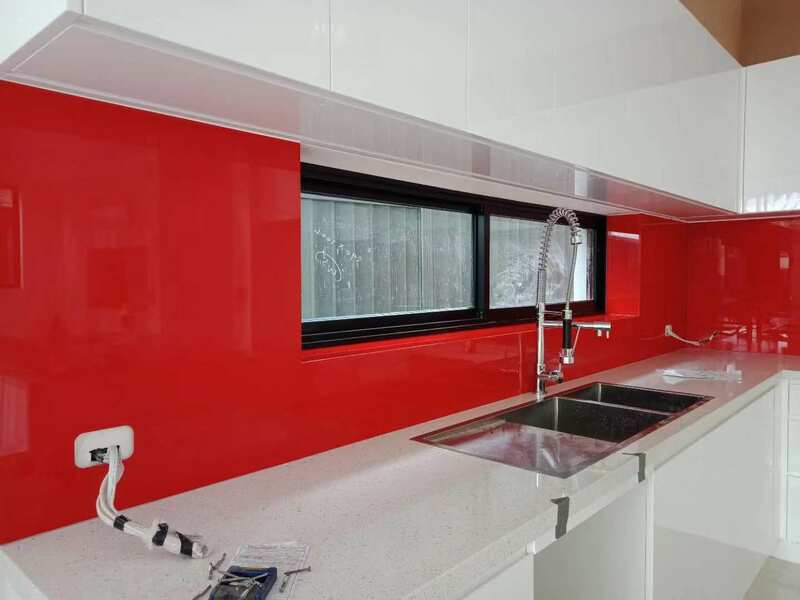 You can make sure that yours will be matching to kitchen design, theme, and style. 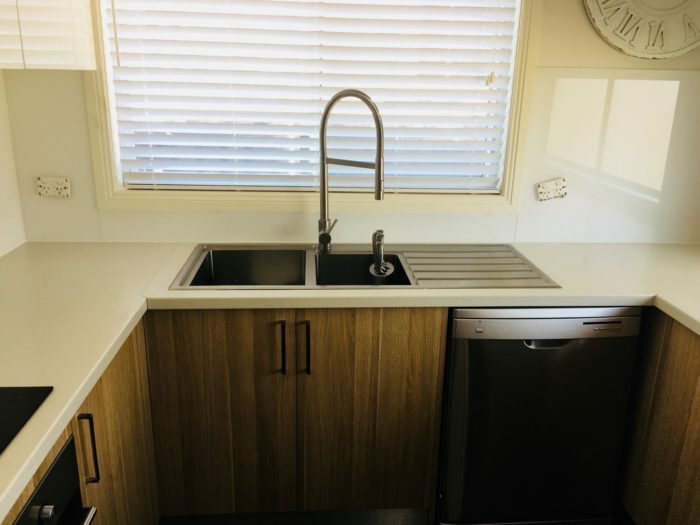 This is a nice thing to have. 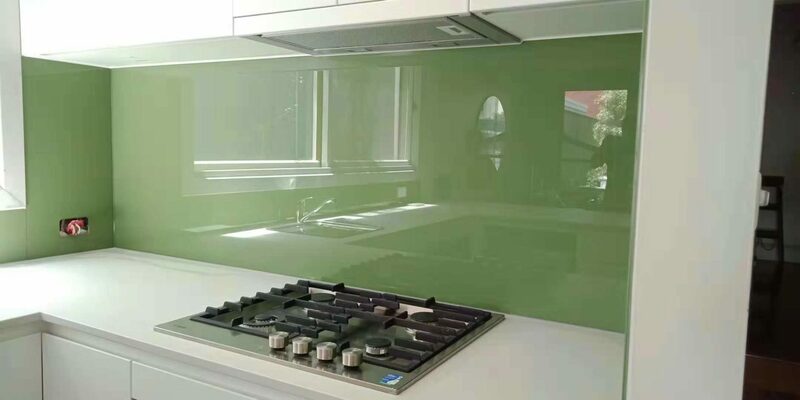 No matter what your colour choice, the glass will stay clear and bright. 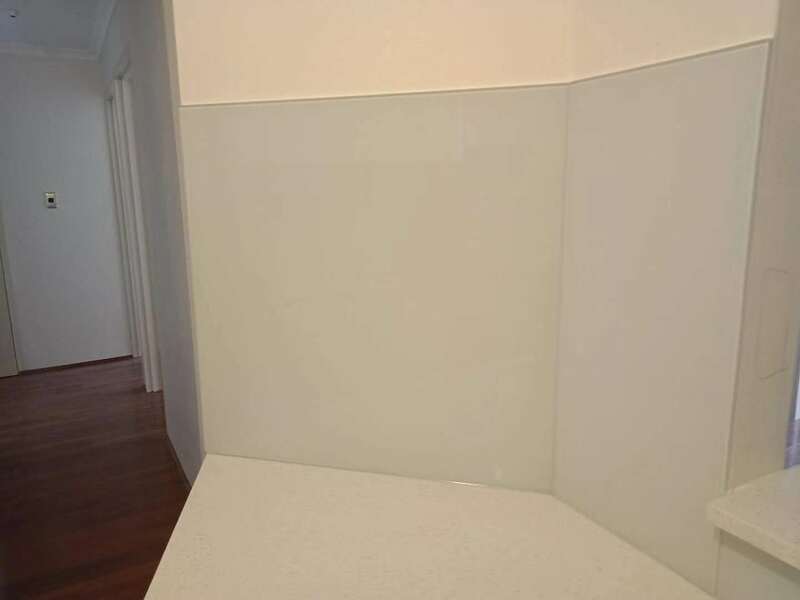 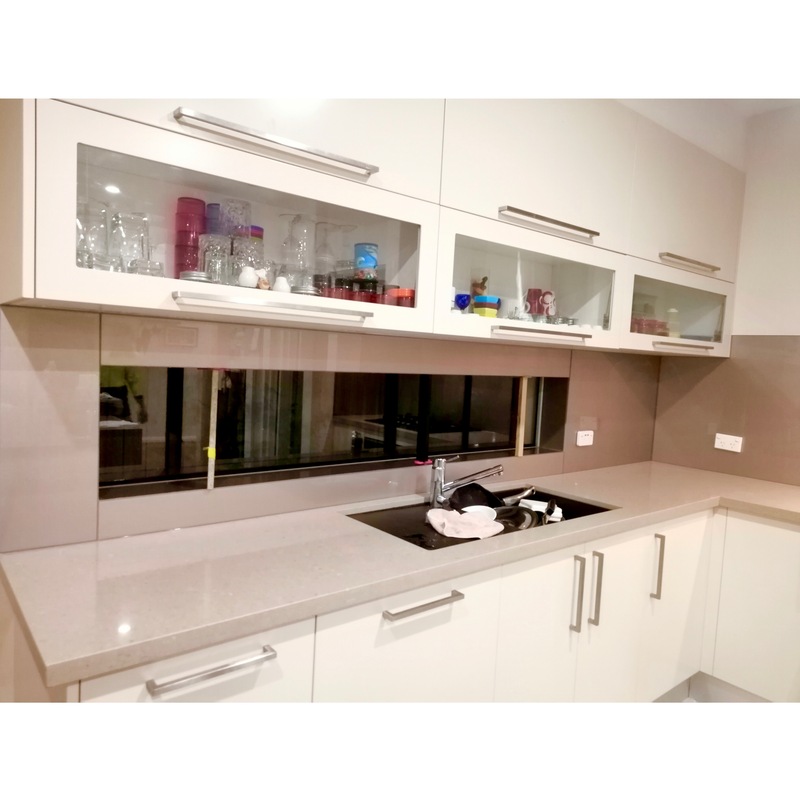 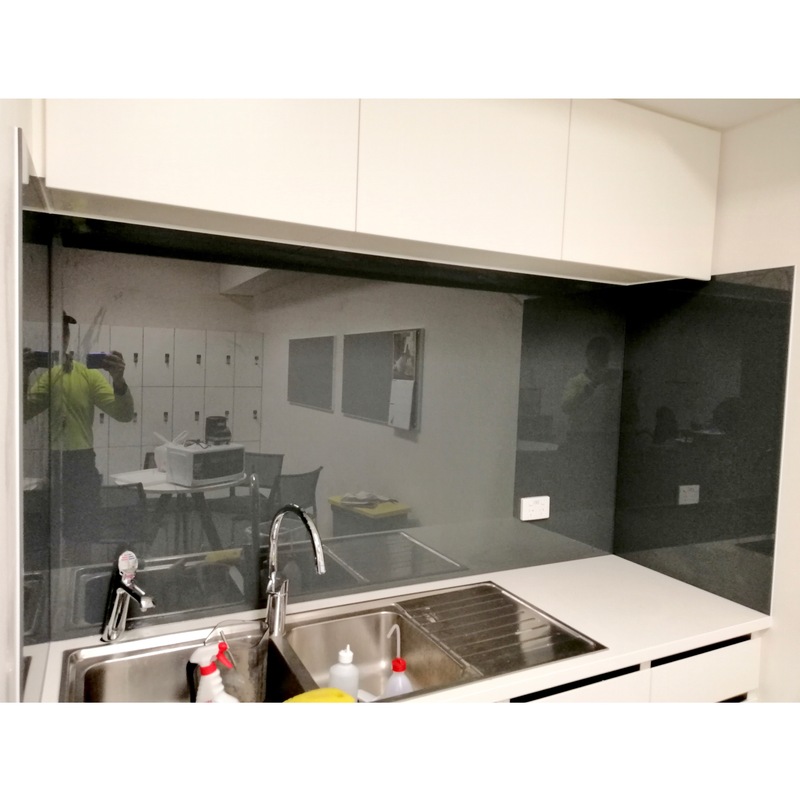 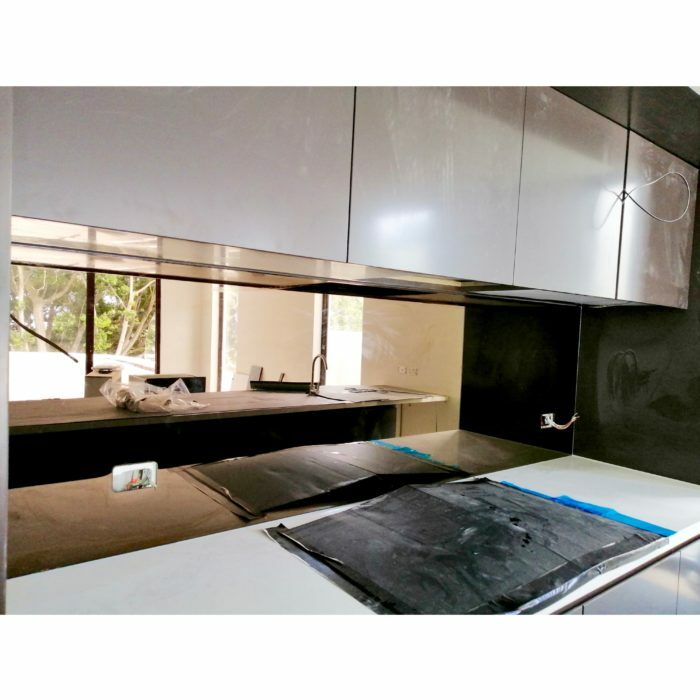 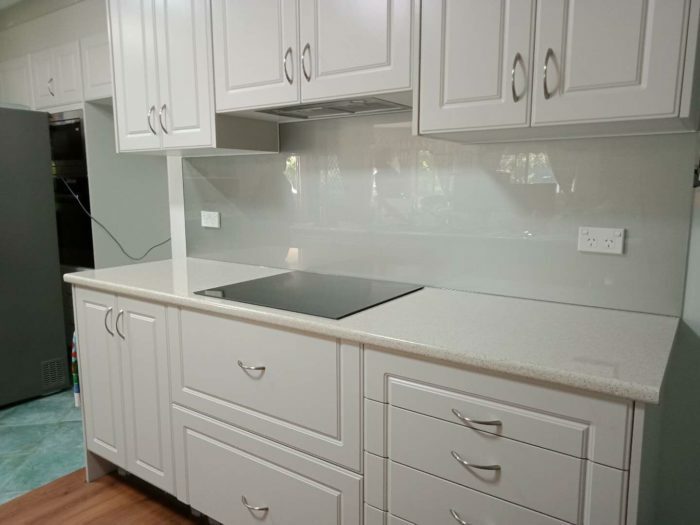 Small effort – Replacing the old splashbacks with one using glass will be a small effort. 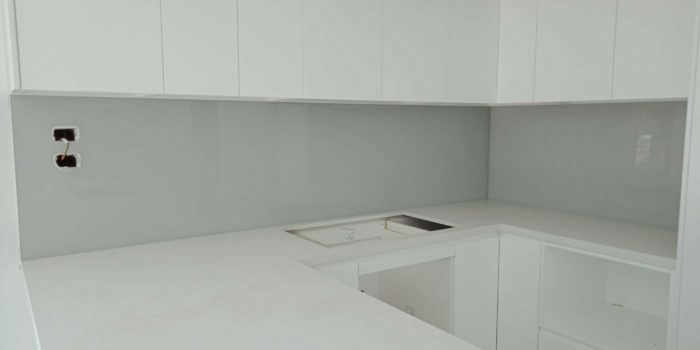 However, this effort will give a total big impact and change. 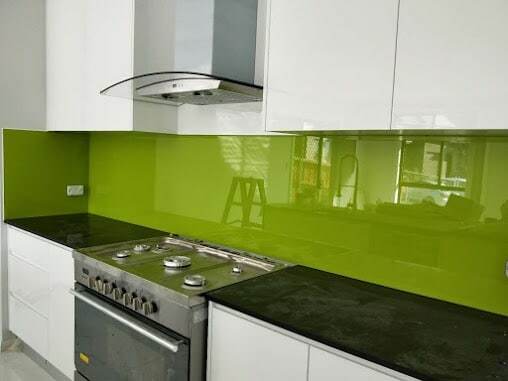 This touch will change your kitchen look into the more classy and elegant kitchen. 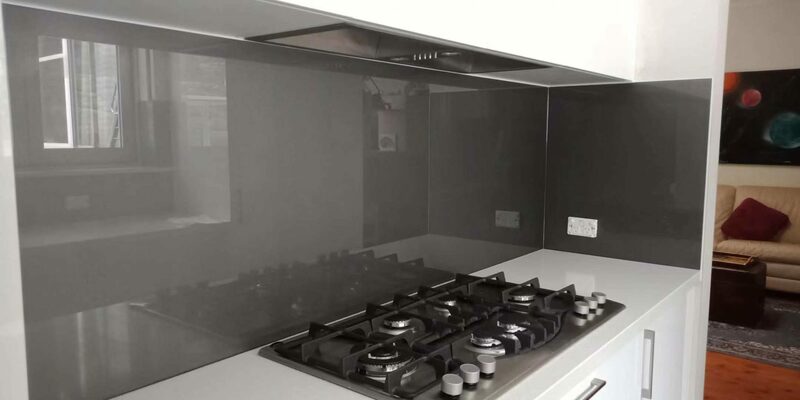 Meanwhile, you do not need to spend too much money on this. 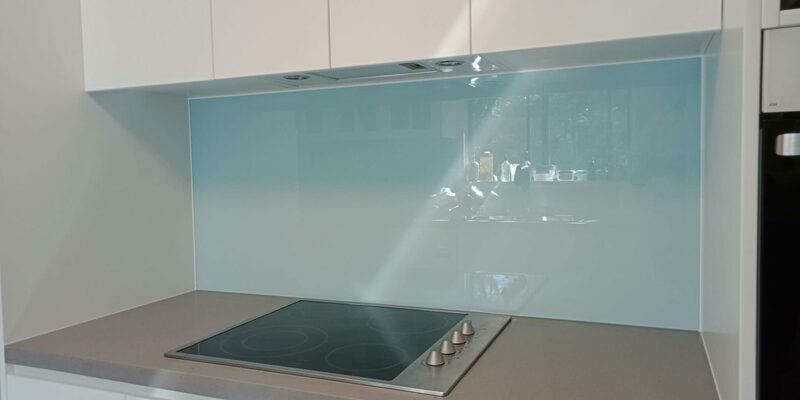 Luxurious look – Being clear and bright, these glass splashbacks contribute a luxurious touch to your kitchen. 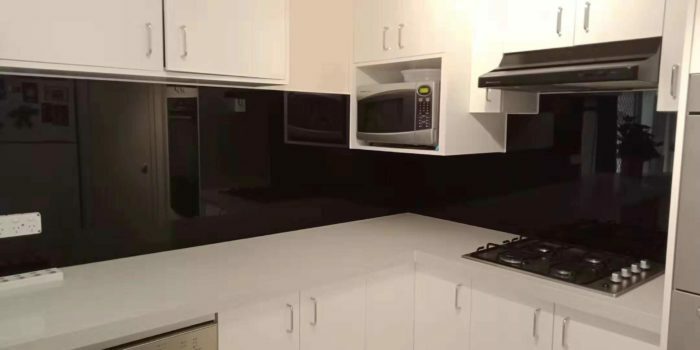 It looks like you already spent a lot of money on it while you actually don’t. 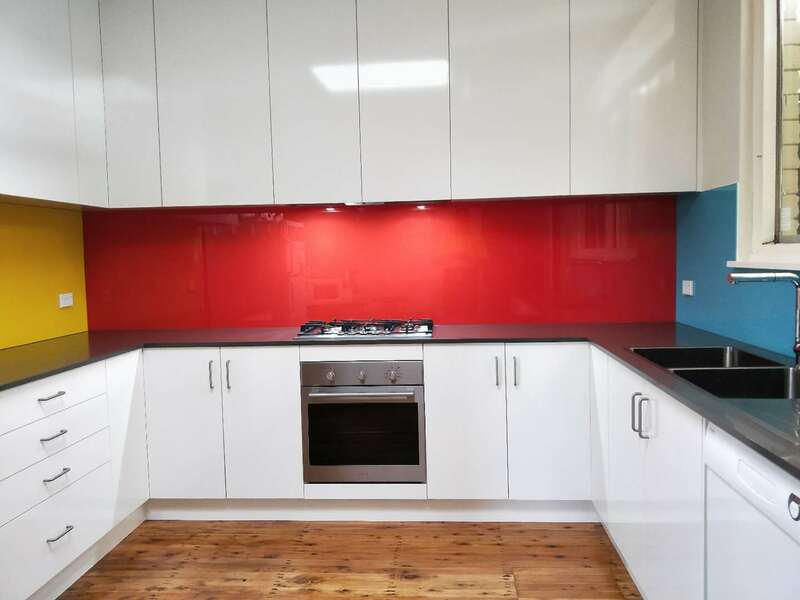 This is how you make a change in your kitchen. Luxurious kitchen surely invites people to cook more. 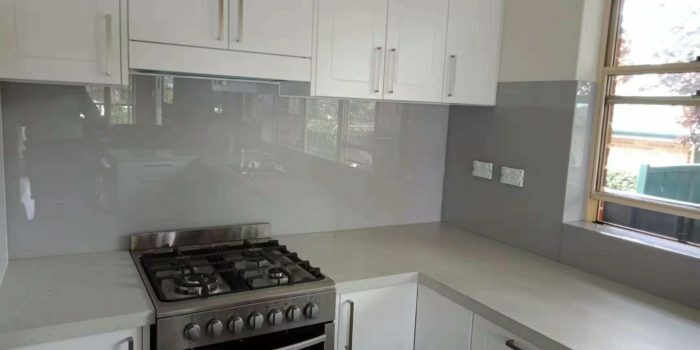 Light reflection – Glass splashbacks reflect your kitchen light well. 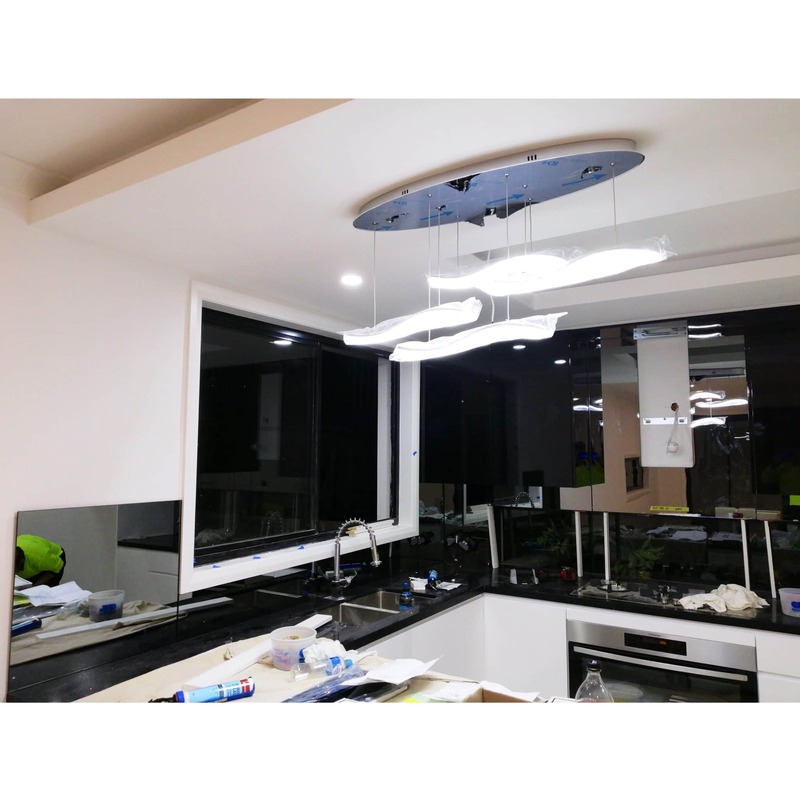 You will have less shadow, and you will also get a brighter kitchen without adding anymore lighting system. It will be comfortable for you to cook or bake, even when you o it in the middle of the night. 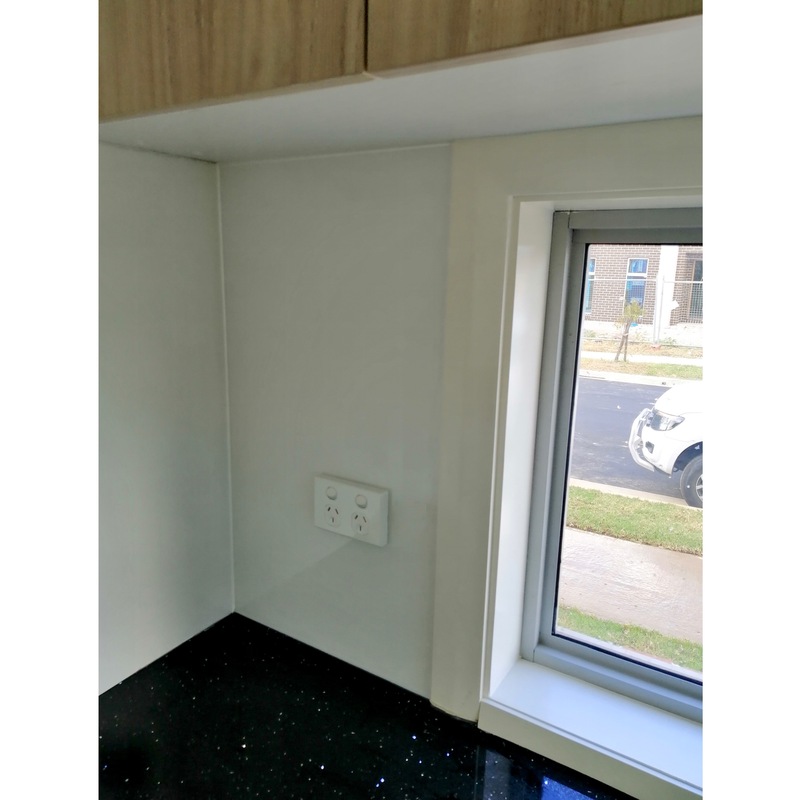 Versatility – Versatility is commonly just a dream. 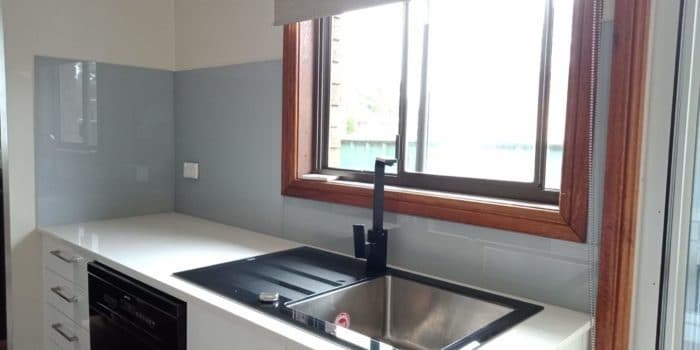 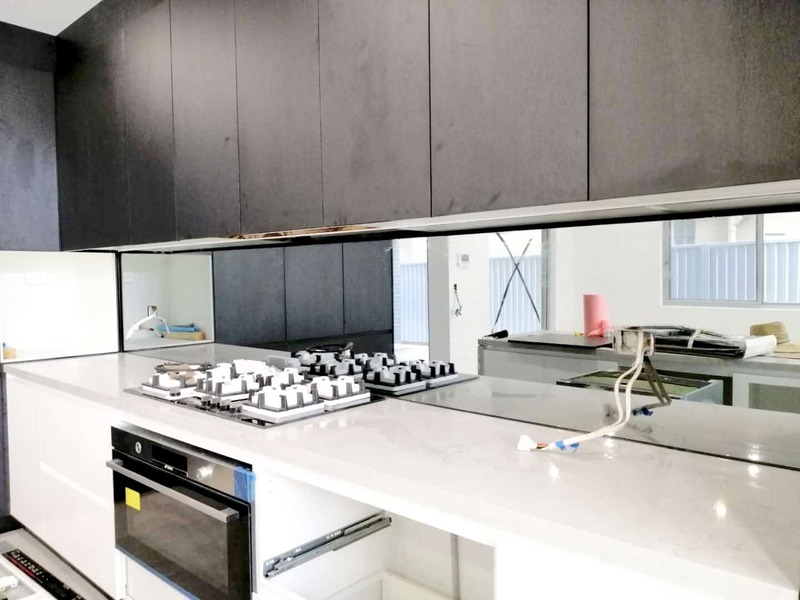 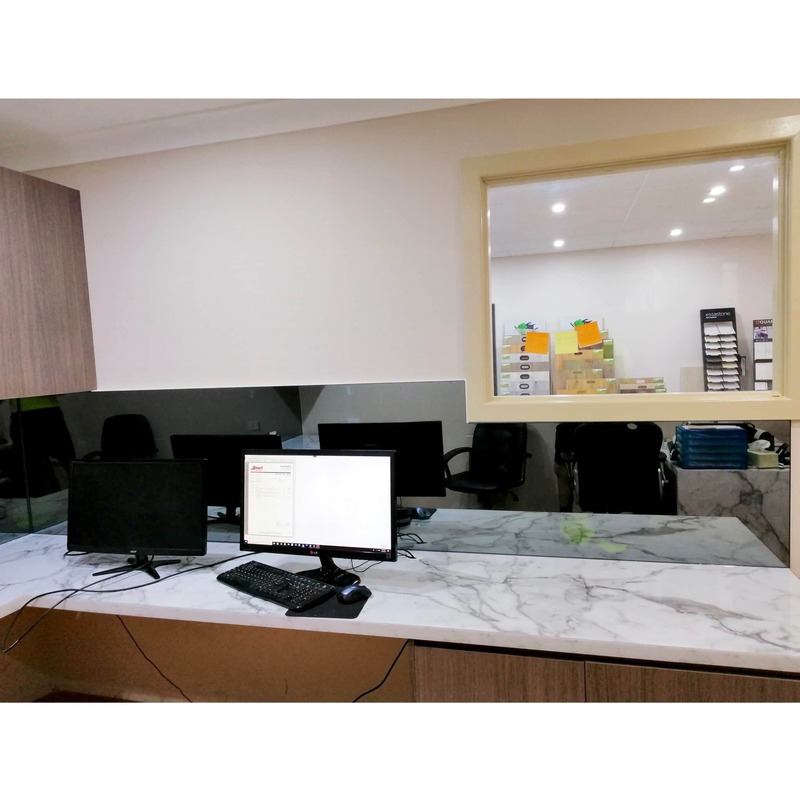 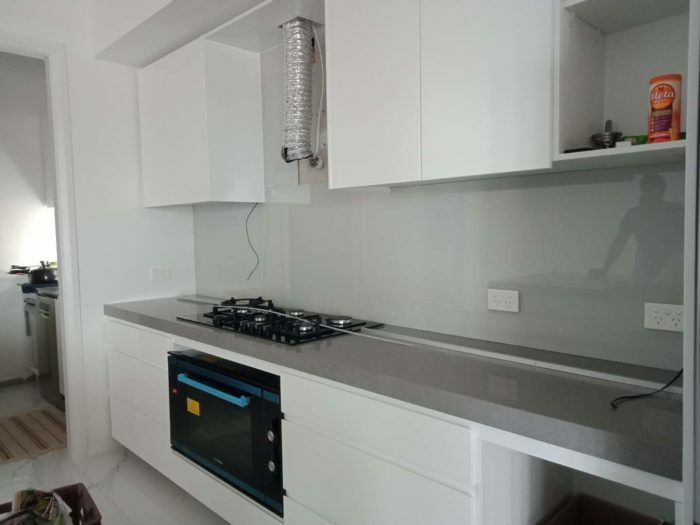 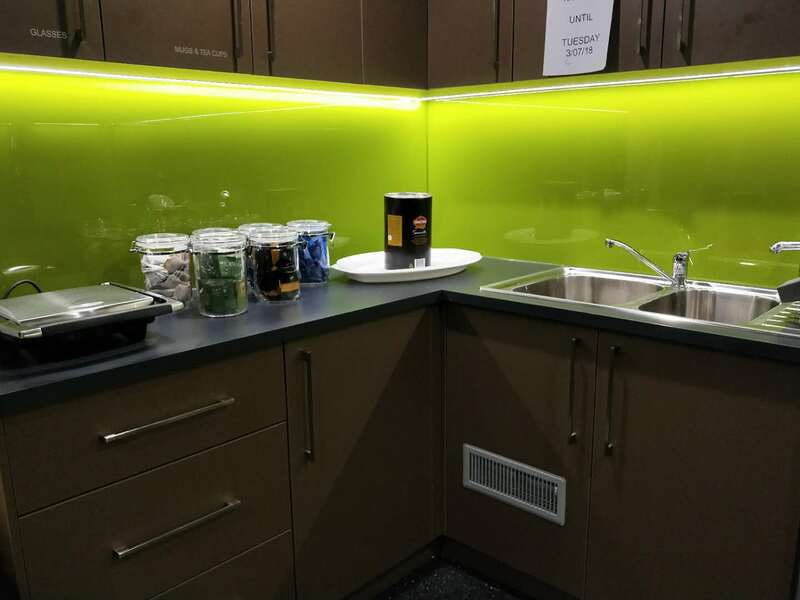 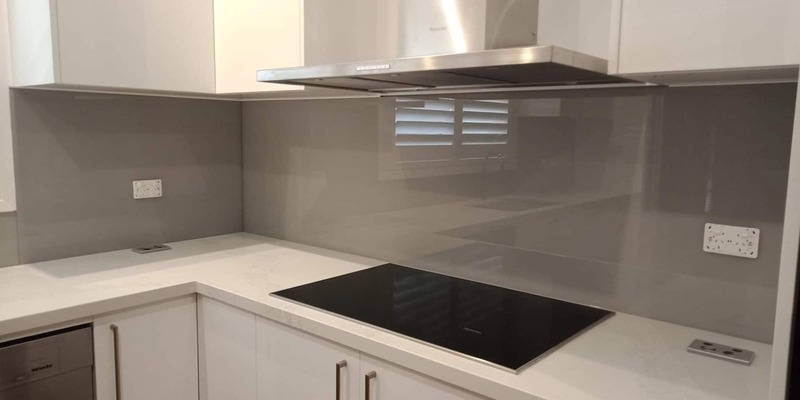 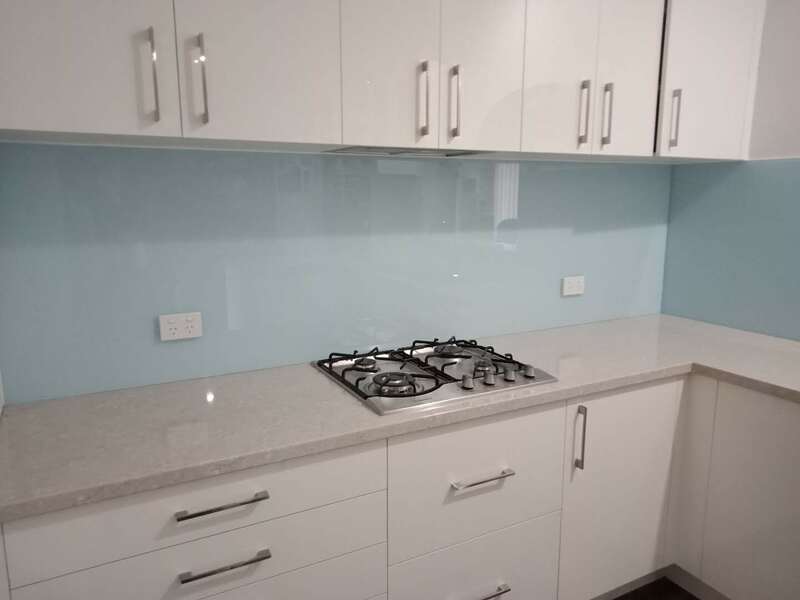 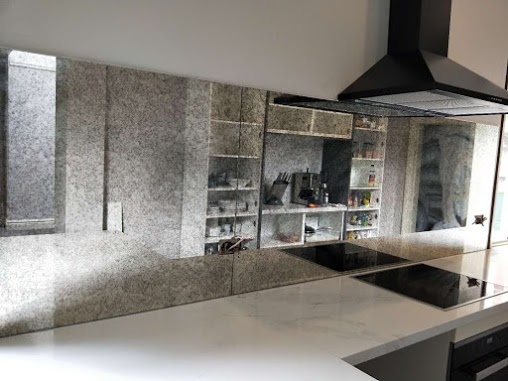 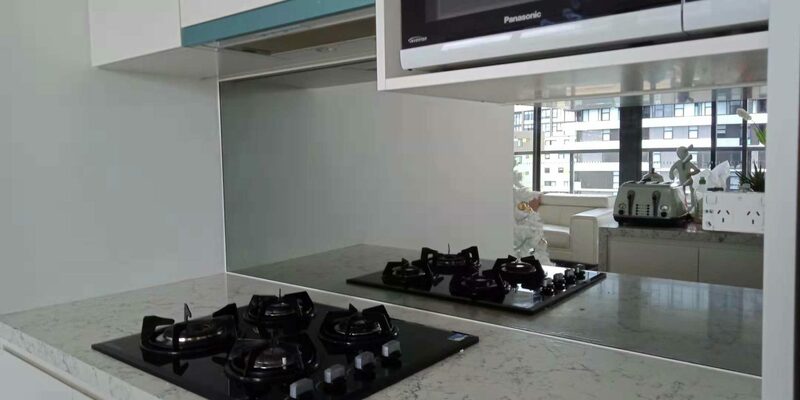 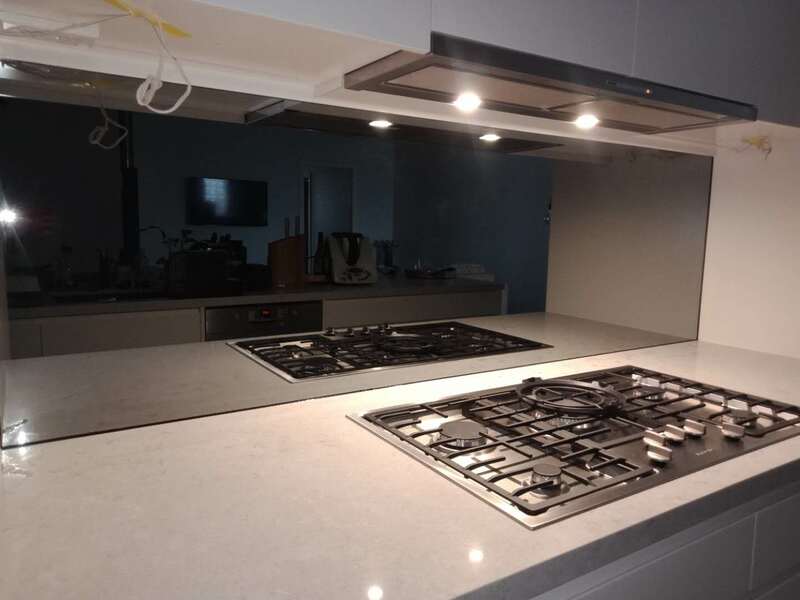 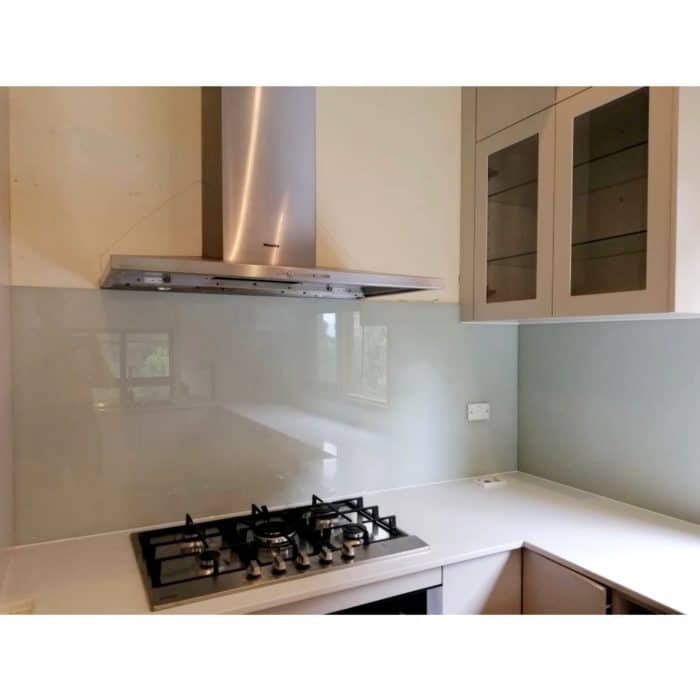 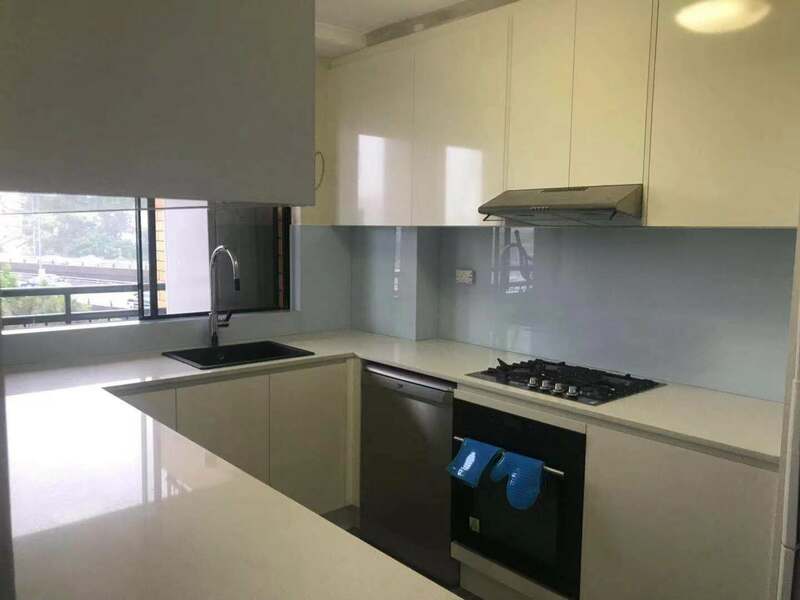 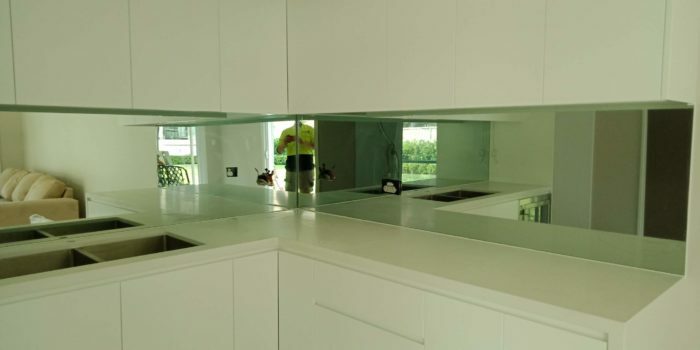 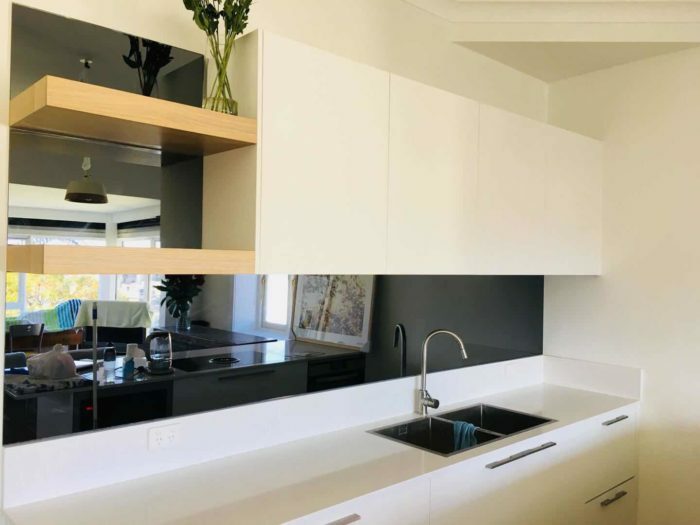 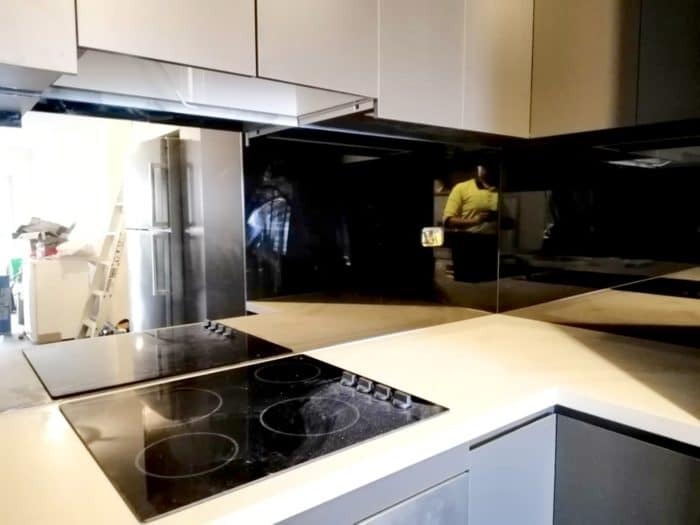 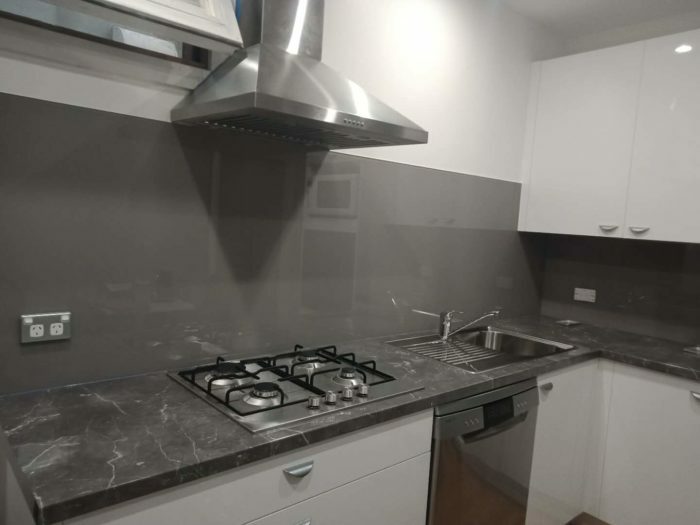 However, glass splashbacks give versatility benefit in which you can make it just as you want it even to be installed on most challenging corners. This is totally possible to make and you will not need to make too much effort for it. 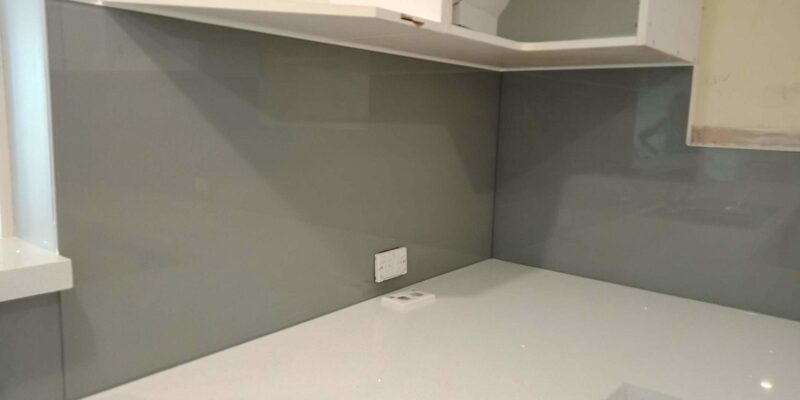 Those are performing benefits. 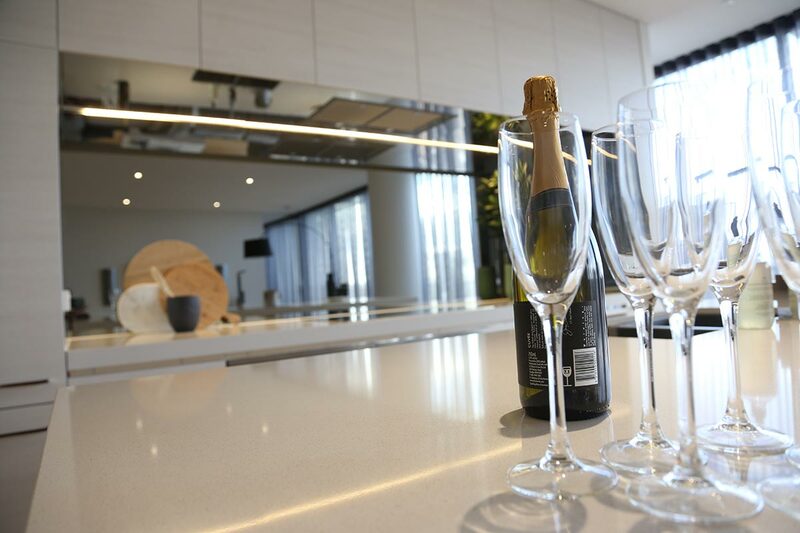 Those are also an invitation for you to follow the lead. 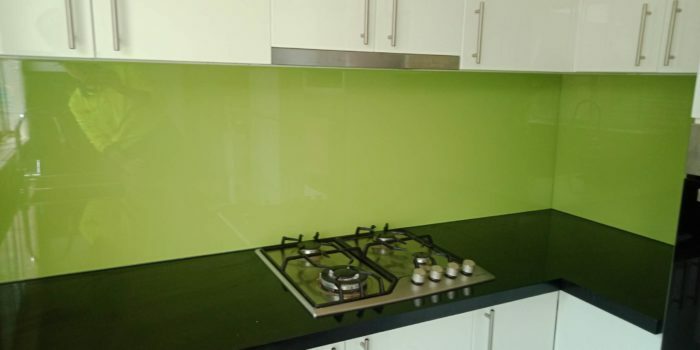 If you have a budget, make the improvement and add glass splashbacks on your kitchen.